This is my last post from the nearly finished year of 2011; a year that was marked by unrest in Middle East, continuance of a crippling recession, and the beginning of a global awakening against the cruelty and injustice of the capitalist system. Jazz had a small role in these affairs. Jazz "occupy", too, since it was and it is the music of social consciousness. In the second half of the year I started my radio programme for Iran. It is obviously a jazz show, broadcasting weekly from an internet-based radio in Atlanta, Georgia. The idea is to bring jazz to a wider audience in Iran, mostly the younger generation who are evidently open to new things. I'm trying to provide an easy to access space that gives them the chance to hear this music, to learn about its history and the people who created it. Some of the shows are my selections of the tunes from different periods and different musicians, and some of them are focused on the lives and career of a particular artist (Billie Holiday, Miles Davis, Bill Evans, etc.). 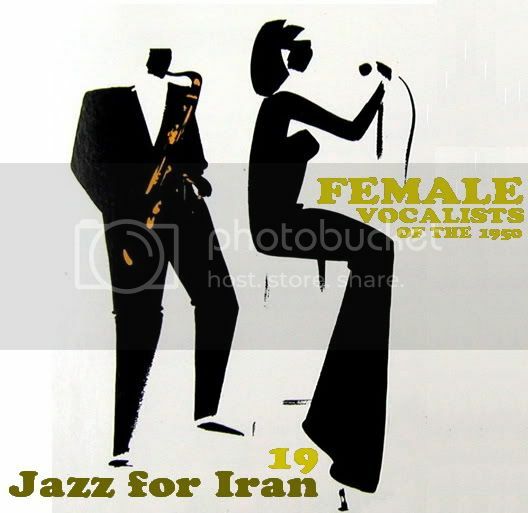 In between, certain themes and concepts in history of this music is explored and explained, among them the theme of "father", or "vibrato in jazz" or as my last programme for the year 2011, "female vocalists of the 1950s." Responses, especially from Iran, is heartwarming and despite all the difficulties folks have in Iran to access to the internet, listening to it, or downloading the podcasts, the number of downloads and clicks show it has good number of listeners. I'm really proud of this, and feel that my heavy dues to this music is partially paid by spreading the sound of truth. 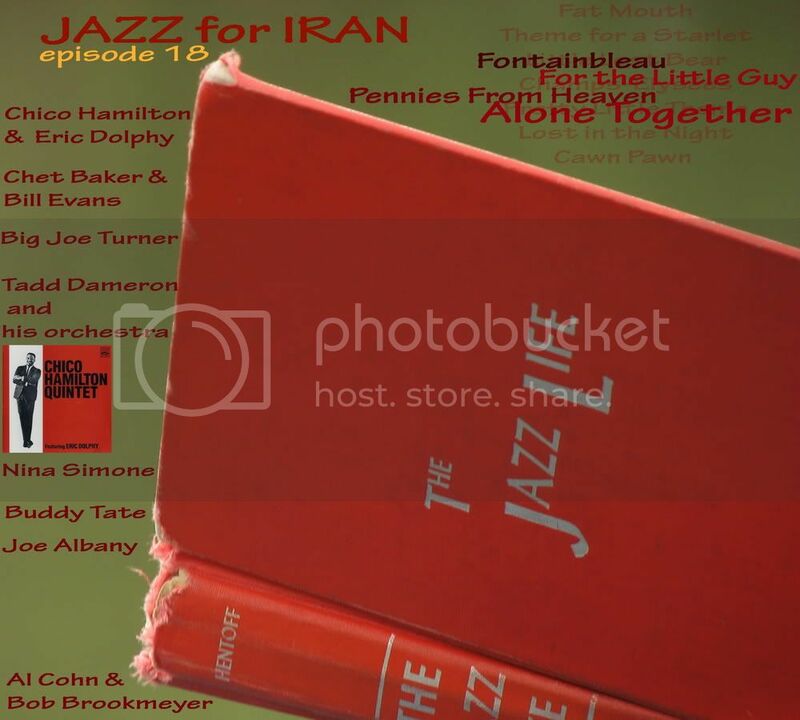 This activities even were reflected in Canadian CBC radio and they interviewed me about jazz in Iran and my concept of jazz as democracy. Also in the year 2010 some great messengers of jazz left us, among them the departure of George Shearing, Snooky Young, Frank Foster, Ray Bryant and Bob Brookmeyer really broke my heart. The generation of the giants is vanishing and there is nothing we can do about it, except regenerating this music with new talents and new ideas. But even in the second decade of 21th century some of those giants still had extraordinary things to offer. It worth mentioning, among the gigs that attended (mostly at London Jazz Festival) how some of these past masters were as powerful as their 20s and 30s. I will never forget Cedar Walton Quartet's magical performance at Ronnie Scott's, and Roy Haynes's magnificent combination of jazz and pure theater in Queen Elizabeth Hall, almost a month ago. As Philip Larkin, British poet and jazz critic says "one of the oddest features of the American jazz scene is the way the past refuses to be over." So I would argue there ain't no "past" in jazz. It's all about "now". That aspect of jazz reminds me of great Persian poet Khayyam. Charlie Parker is Khayyam of 20th century. But that's another story! From this so called past, many great recordings shape my thoughts and feelings during the year that witnessed my move from north-eastern Iran, or city of Mashhad to London. Pepper Adams, like any other year, was a major figure, this year with Ephemera. A seminal statement on alto from Mr Phil Woods on Alive And Well in Paris. Thelonious Monk and his London Collection set. Rediscovering John Lewis. Digging Stan Tracey and seeing him in person in Kingstone. Exploring the hard-to-define musical territory of Tony Scott. A moving return to Ted Dunbar. 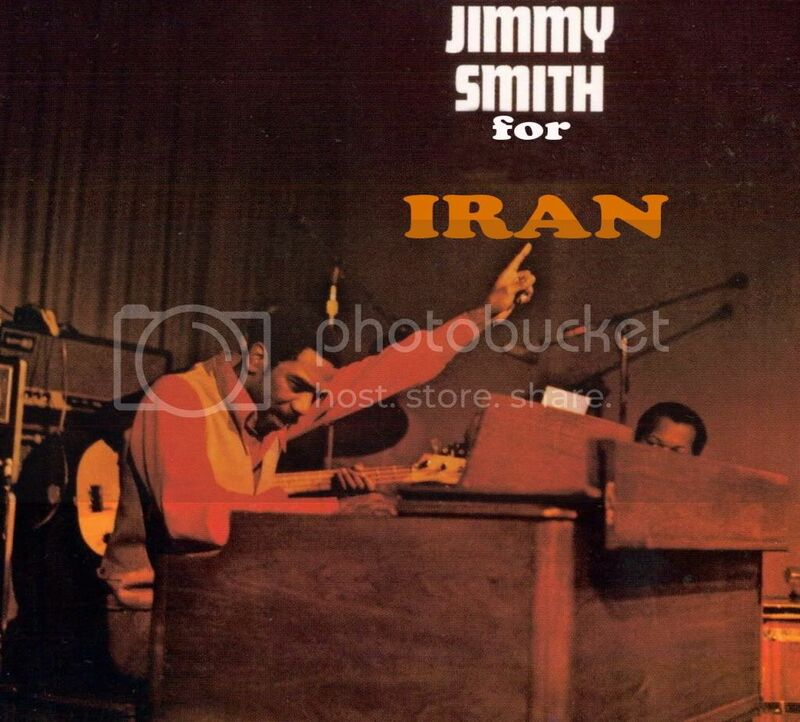 Discovering forgotten masterpieces such as Paul Gonsalves's Humming bird (1970) and Jimmy Hamilton's Can't Help Swingin' (1961). Feeling like going out and shouting the names of Georges Arvanitas or Joe Albany in the open spaces. Getting acquainted to the velvety voice of Kenny Dorham who sings too. Deeply appreciating Charlie Barnet and his 1940s big bands. And finally, thanks to Mosaic and their new Ellington box set spending a golden month just playing those tunes over and over again. By the way, in my humblest opinion, Teddy Wilson's piano is the best soundtrack for London town. That's enough for now! 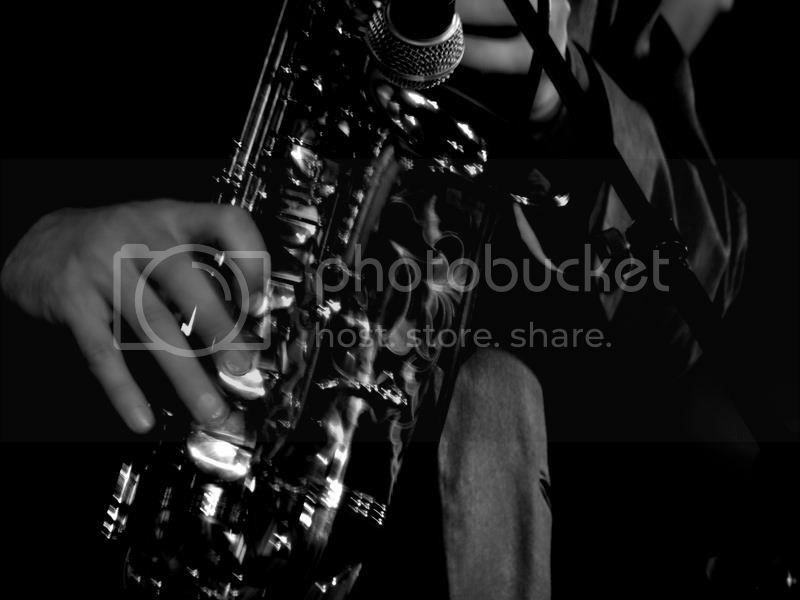 Many European TVs and news agencies have their own treasure of jazz footage, whether a simple reportage, a proper TV appearance, or recording of a jazz event. Some of these treasures have leaked in the internet and one can find them on Youtube or other assorted websites. Some of them rarely been seen outside their native countries. 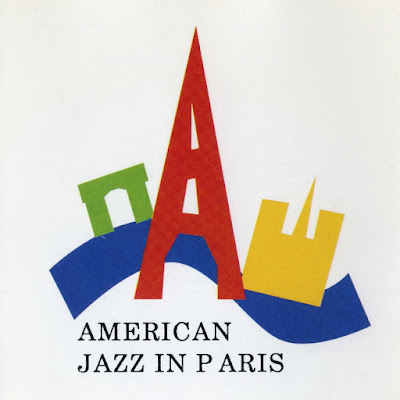 Jazz archive of French TV, INA.fr, belongs to the latter group. They have many great archival materials that can be accessed on their website. Duke Ellington solo from 1965. Take the "A" Train is here. Art Blakey in his INA.fr's interview points out "jazz is like a river, it has to flow." Indeed, it is like a river, and from my point of view, broad enough and deep enough to swim in it, float on it, and occasionally get drowned in it. Some friends and colleagues believe that my appraisal of Nat Hentoff is overstated. This year, reviewing, re-reading and first-reading of his oeuvre showed that it could be anything but overstatement. Still, in my view, he is the best jazz writer we ever had. You can argue that we have better writers in terms of historical accuracy or academic substance, but as a whole, as a Writer, I'll go for Nat. He wrote about me on Wall Street Journal. So maybe 2011 was the most important year of my life, jazzwise! Allow me to bid you a 2011 farewell with Strut that Thing by Clarence Lofton. "Pre-electric recording and dated instrumental technique make the historical sense necessary to enjoy some tracks," says Mr Larkin, "and the gaiety and colour is sometimes tiny and distant, like a miniature." But in this case is as vivid as someone who's playing it "now" and for you. See you next year and don't forget to STRUT THAT THING! Bob Brookmeyer (trombone), Al Cohn (tenor sax), Mose Allison (piano), Teddy Kotick (bass), Nick Stabulas (drums). Original broadcast is 58 minute long, with singers Joseph Carroll and Sarah Vaughan. Johnny Griffin: I Want to Explode! A friend, half-jokingly, called me a polytheist last night, in response to me saying "Joe Albany [another forgotten master/poet of jazz piano] is God!" 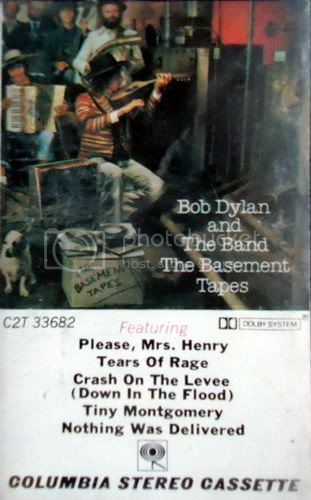 Well, I can see myself more as an atheist polytheist, and in that case one of the non-jazz guiding sounds of my early teens was Bob Dylan and The Band's Basement Tapes (released 1975). The cassette that was bought by an Iranian friend in San Francisco, circa 1975-76 was inherited to me in 2000, and I wasn't the same person after that. I'm not going to talk about the album, but about a surrealist song of that set, among other surrealist takes, called Open the Door, Homer. The problem I had, because of the lack of confidence, knowledge or whatever you call it, I couldn't understand why Homer in English sounded like Richard. It took some times to understand, yes, he is singing Richard, and not Homer. That was the beginning of a rather long story about the song which originally should have been titled Open the Door, Richard! Dylan is famous for using other people's songs, changing the words, and making it something of his own. In this respect he reminds me of French painter Marcel Duchamp and his idea of "ready-made" objects in art. During the Basement Tapes sessions in Big Pink and other club-houses of Woodstock, New York, he and The Band performed many of other people's songs, and sometimes the choices were really odd. 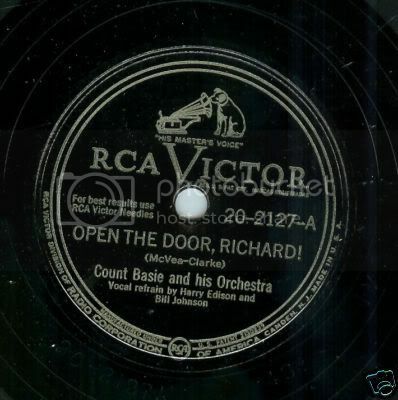 Open the Door, Richard started out in 1919 as a Harlem black vaudeville routine by John Mason. It was first recorded in 1947 on the Black & White Records label by saxophonistist Jack McVea and became the number one song on Billboard. The same year Count Basie recorded the song with his orchestra (Lewis, Newman, Berry, Young, Edison, Robinson, Johnson, Matthews, Donnelly, Love, Rutherford, Gonsalves, Tate, Washington, Green, Page, Wilson) and humorous vocal part was done by Harry 'Sweets' Edison and Bill Johnson. It was released by RCA Victor Records and reached the Billboard magazine Best Seller chart on February 7, 1947 and lasted four weeks on the chart, peaking at number one. After these successful singles, it became a safe bet for many artists through the years, including Louis Jordan. According to Wikipedia, "the phrase 'Open the Door, Richard' passed into African American Vernacular English and became associated with the Civil Rights Movement. When college students marched in 1947 to the state capitol demanding the resignation of segregationist governor Herman Talmadge, some of their banners read 'Open the Door Herman'. The Los Angeles Sentinel used 'Open the Door Richard' as the title of an editorial demanding black representation in city government and a Detroit minister used the title for a sermon on open housing." Now flash-forward to an unknown day between April to early/mid-May 1967 in Big Pink, when Dylan pays his tribute to Count Basie, the world of vaudeville, drunk songs, André Breton, and Jesus Christ by playing Open the Door Richard, in a slightly different way. Sid Griffin, in his study of the Basement Tapes recordings says "it is a nonsense song based on a nonsense song." Here Dylan plays acoustic 12-string guitar. Rick Danko on bass backs Dylan's vocal, so does Richard Manuel who also plays Piano. Hudson is on organ and Robbie Robertson produces his signature rattling sound on electric guitar. Not many listeners notice that the famous Basement Tapes recordings (especially all the materials from Big Pink) are drumless and no Levon Helm is ready to kick yet. And concerning Homer sang Richard, Rick Danko explains that Dylan changed the name of the title to Homer so folks would not think it is reference to Richard Manuel. Obviously one can notice that Richard has changed to Homer, and not John for instance. The vaudevillesque nonsense context of the song has changed to a religious nonsense which I find moving and poetic. Listen to this audio file which starts with Basie, switches to Dylan and The Band, and again returns to Basie for the finale. Also some classic interpretations of the song is complied in this playlist from Spotify. Afro-Bossa; Stompin' at the Savoy; Guitar Amour; Perdido; Honeysuckle Rose; Tootie for Cootie; Kinda Dukish & Rockin' in Rhythm; I Got It Bad; Things Ain't What They Used To Be; The Eighth Veil; Medley (Satin Doll + Solitude + Don't Get Around Much Anymore + Mood Indigo + I'm Beginning To See the Light + Sophisticated Lady + Caravan + Do Nothin 'Till You Hear from Me + I Let a Song Go Out of My Heart + Don't Get Around Much Anymore); Diminuendo in Blue & Wailing Interval; Lush Life & Take the "A" Train. About this concert: At Duke's Panorama Anders Asplund writes: "I am convinced this is from the Middle East tour in 1963, and by comparing the programme with those of other venues, I believe it must be from November." "This must have been a live telecast. There were two live telecasts according to Klaus Stratemann page 680. 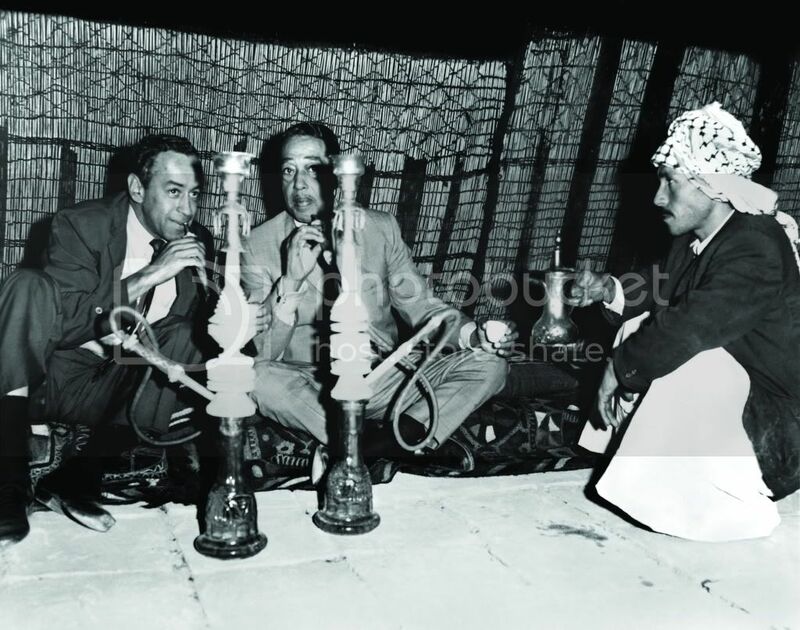 One on 5 November 1963 from Tehran and one on 14 November at the Khuld Hall in Baghdad. Ken Vail helps us out. He writes on page 230 of the second volume of his Duke's Diary that the 5 November 1963 live telecast came from the ballroom of the Royal Tehran Hotel. He does not give details of the second live telecast on 14 November 1963. It is obvious that it was not played in a ballroom but on the stage of a large theatre. That makes us conclude that the date was 14 November 1963." Though I'm not totally convinced by his argument (guessing from size of the theatre when there are entertainment venues in old Hotels of Tehran, suitable for a concert like this. 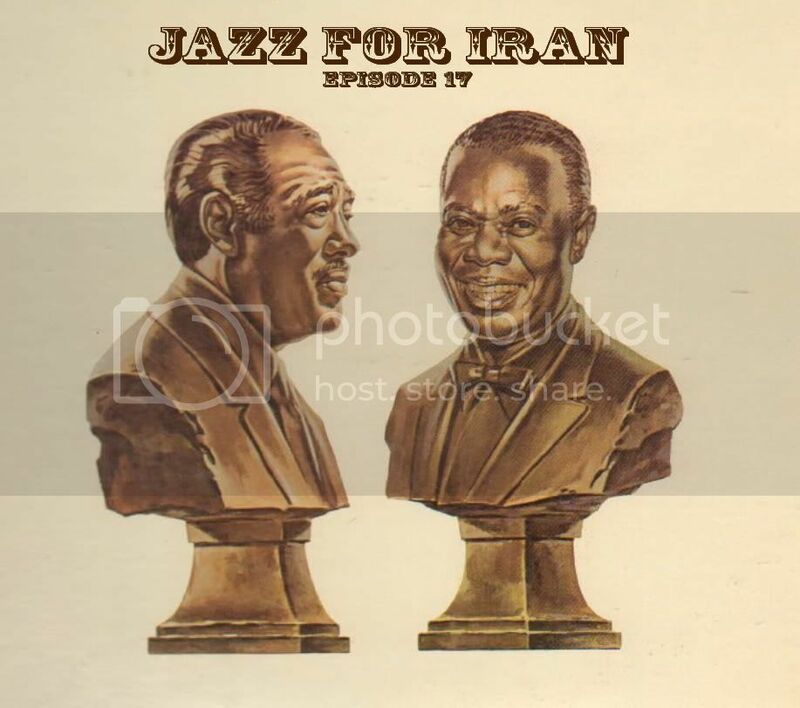 Also many hotels in Tehran have amphitheaters), I wish we could find more information about this broadcast, and if it is really from Baghdad, then spend the rest of our lives in quest of the holy grail: Duke Ellington concert footage of November 1963 in Tehran! Watched it over and over again, now I'm sure it's not Tehran. It is whether Lebanon or Iraq. This is definitely broadcasted from a Lebanese TV (Al-Mashregh), but could be originally recorded in Baghdad as Hoefsmit argues. saxophones: Babe Clarke (Tenor), Robert Ashton (Tenor), Gerry Dodgion (Alto), Phil Woods (Alto), Danny Bank, Jerome Richardson.